Canadian aircraft and transport company Bombardier will cut 5,000 jobs globally and sell off its aging turboprop line in a bid to "streamline" operations, the struggling firm announced Thursday. Speaking to analysts in a conference call, Bellemare was upbeat about the company's prospects. "We're going through a major turnaround," he said. "And by and large, if you look at what we've done so far we positioned the company very well for the next phase." The company's new Global 7500 aircraft—the largest and longest-range business jet on the market—has now been certified flight-worthy, paving the way for its entry into service in December. 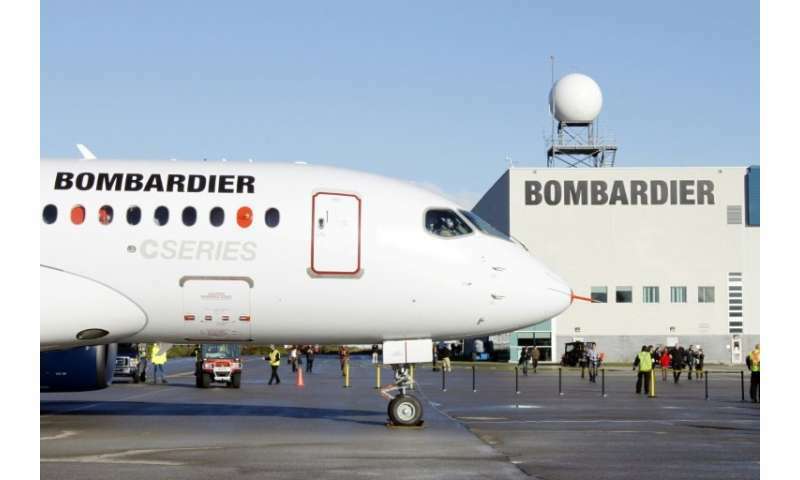 Excluding one-off and one-time items, Bombardier posted a quarterly earnings of four cents a share, above the consensus of analysts who expected a gain of two cents. The strong profit came despite a five percent drop in quarterly sales from the same period a year ago to $3.6 billion. The CSeries, when it officially launched in 2016, was the first new design in the 100- to 150-seat category in more than 25 years.